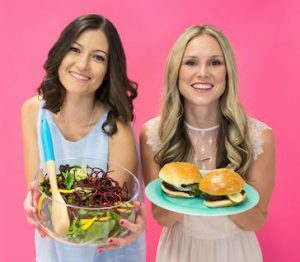 Inside Scoop: Dig into these 10 Exciting Spring Salad Recipes that will make you forget you’re eating healthy. Does anyone else just absolutely crave foods that have a bit of life when warmer weather hit? Foods with beautiful colours, lighter foods, raw veggies, fruit, and generally lighter fare? The cleansing power of spring is astonishing. 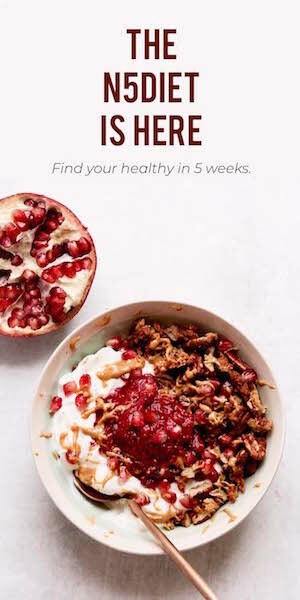 It feels so natural to be attracted to lighter foods, and according to some Ayurvedic experts, your body is naturally designed to guide you to eat certain foods during certain times of the year, which definitely makes sense. 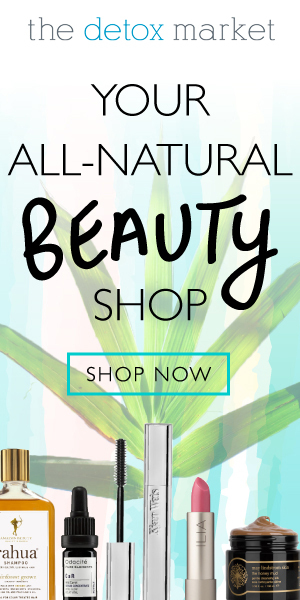 In the winter time, you want foods that are cooked, can warm your body up and give you comfort, and now that it’s summer you might be looking at recipes that are light, uplifting and energetic. But, sometimes the thought of eating salads day in and day out can seem a bit boring or bland. Which is why we thought we would bring you 10 Exciting Spring Salad Recipes that are so good, they will make you forget that what you’re eating is totally healthy. There’s nothing more light and refreshing than citrus, paired with the perfect and subtle note of fennel! 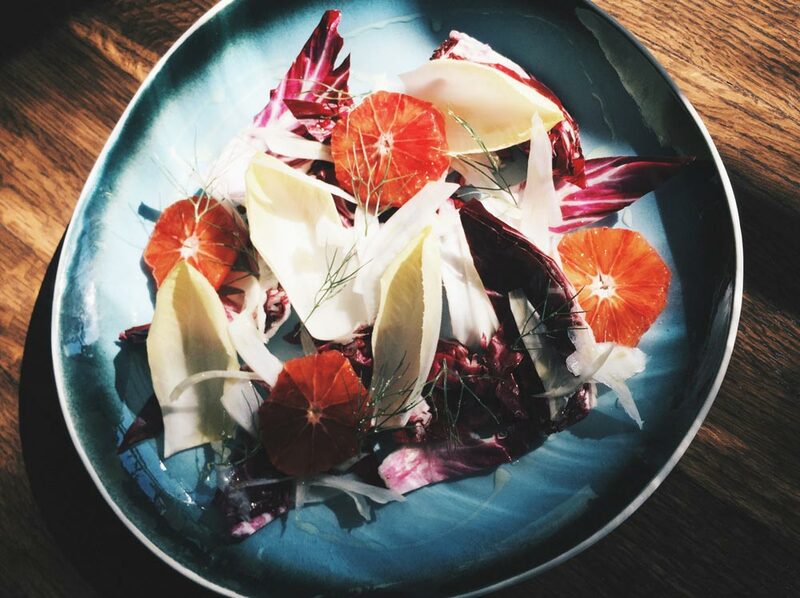 Not only is this gorgeous Blood Orange & Fennel Salad the perfect side, but it’s so simple to put together, requires little ingredients, and the flavour combinations top the charts! Another incredibly simple salad, made with a wonderful combination of ingredients, and a dressing that makes the salad really stand out! It really is about the dressing though isn’t it? Avocado, tahini and tamari make this dressing creamy, filling and packed with flavour. 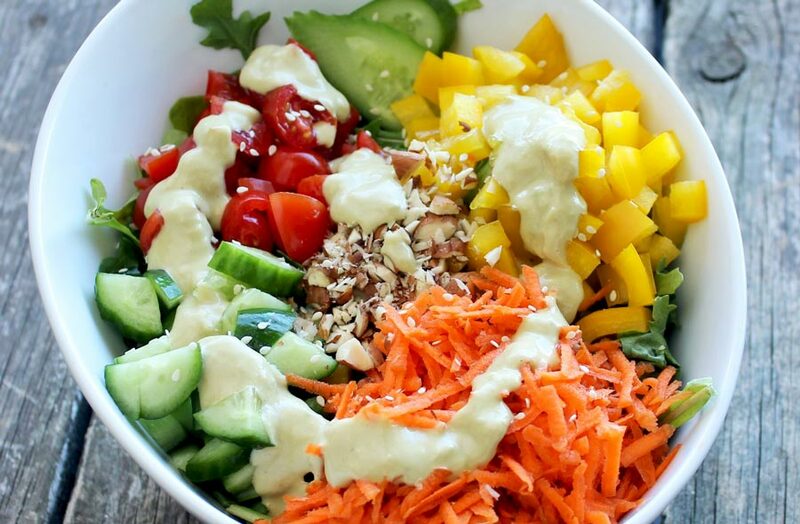 This Fresh Salad With Tahini Avocado Dressing is the perfect large batch salad that you can use for weekly meals. Top it with your favourite protein and you have yourself a delicious and filling meal. Can we talk about dressings again for one more second (okay maybe longer, because a dressing can really make or break a salad). Kim’s Awesome Sauce Dressing is unbelievable! 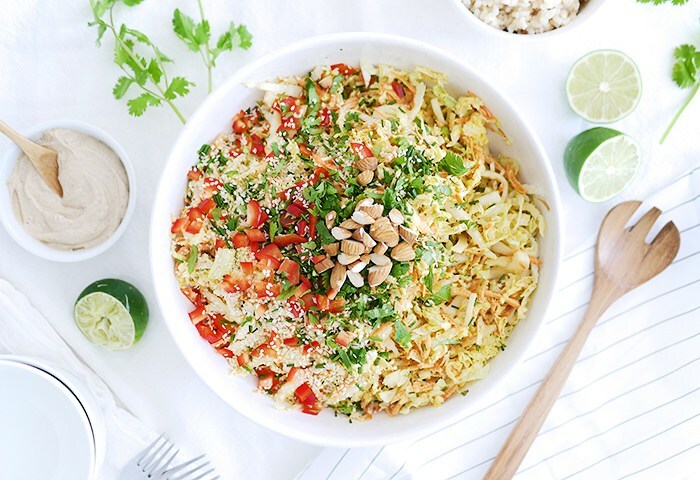 Made with almond butter and a hint of Asian flavour, this dressing turns simple slaw ingredients into a flavour packed nutrient dense cabbage salad made of dreams. We really did our due diligence with the slaws over here! You’ll find 3 amazing slaw recipes in this round up, all different concepts, all incredibly flavour packed. 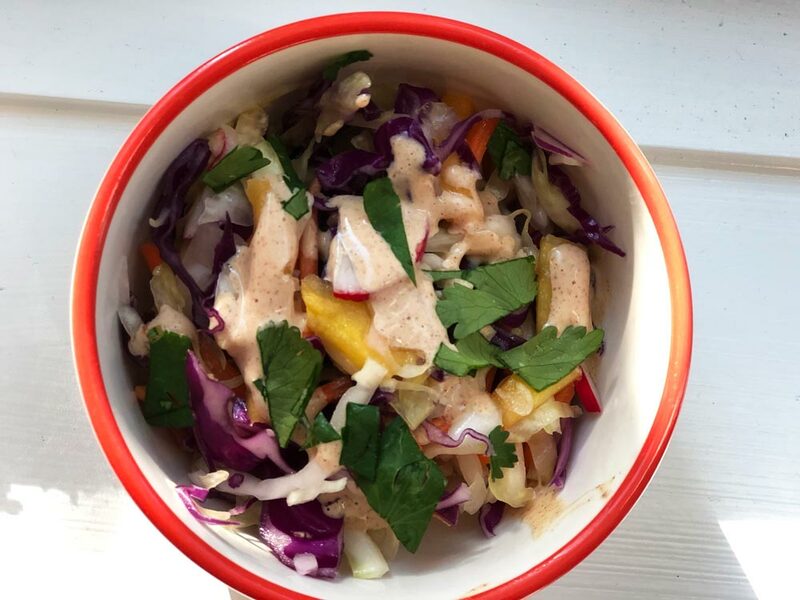 Take this Mango Pad Thai Slaw for example, a sweet flavour, a perfect cooling recipe for BBQ season, and our immediate thought…. Perfect for tacos!!! Also, you could cook up some chicken, tofu, tempeh, eggs or shrimps and add some rice noodles into the mix, just saying. Okay, so sweet potatoes are generally under our ‘winter foods’ bracket, that is, unless you toss them up in a fresh garden salad. 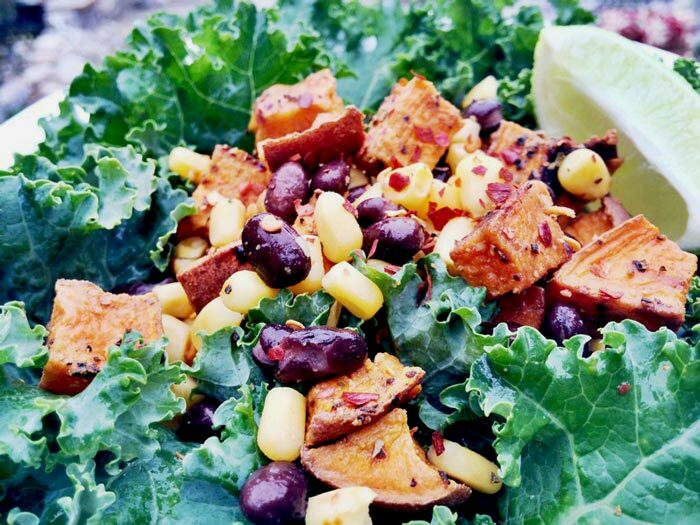 Chantelly’s Southwest Sweet Potato Salad has the perfect combination of corn, black beans, sweet potatoes, with a hint of spice and a wild amount of flavour. 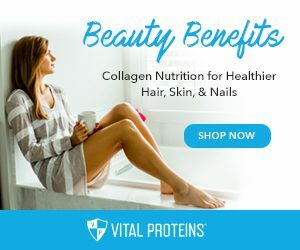 It’s heavy enough to keep you feeling full, but light enough that you can thoroughly enjoy it during the summer months. Adding a bit of heat in the summer months will really get your digestive juices flowing, and keep your metabolism kicked into gear. 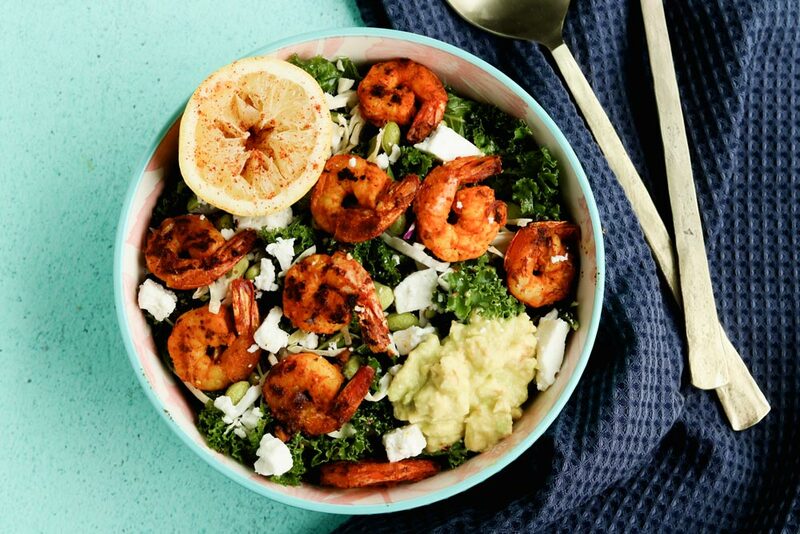 Our Healthy Sweet Heat Kale Salad With Shrimp is the perfect combination of sweet and heat, mixed with some amazing health benefits like antioxidants, healthy fats, fiber and protein. It’s a deliciously light salad paired with a deep flavour palette. What did we say about slaws again? That you can never have enough? Oh ya! 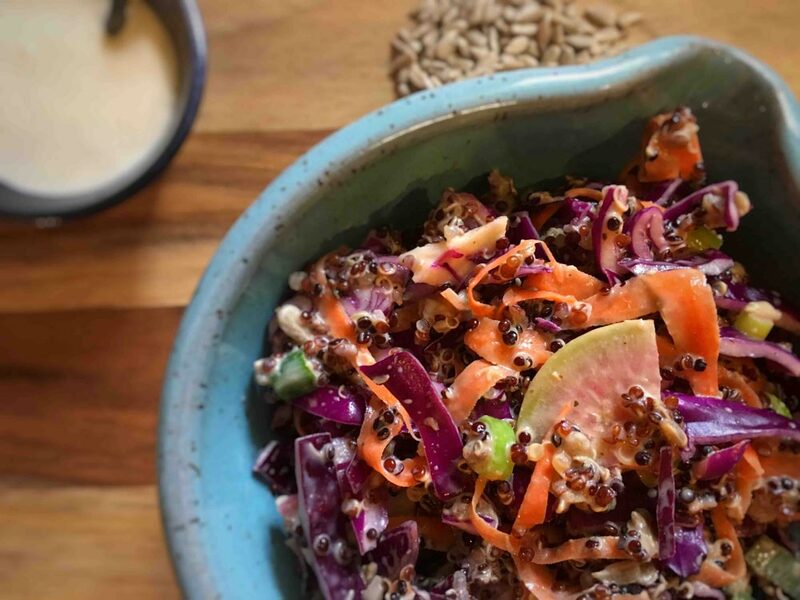 This creamy Quinoa Slaw is filled with vibrant colours, flavours and has the gut loving power of miso (which is usually fermented BTW). 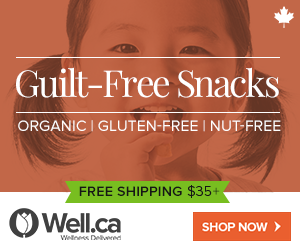 A perfect combination of cleansing ingredients, nutrients and a taste that’s sure to make you come back for more. This salad is also perfect to sit in the fridge for a while, so make a large batch and eat as a side or add to a large bowl of mixed greens to add more lightness. 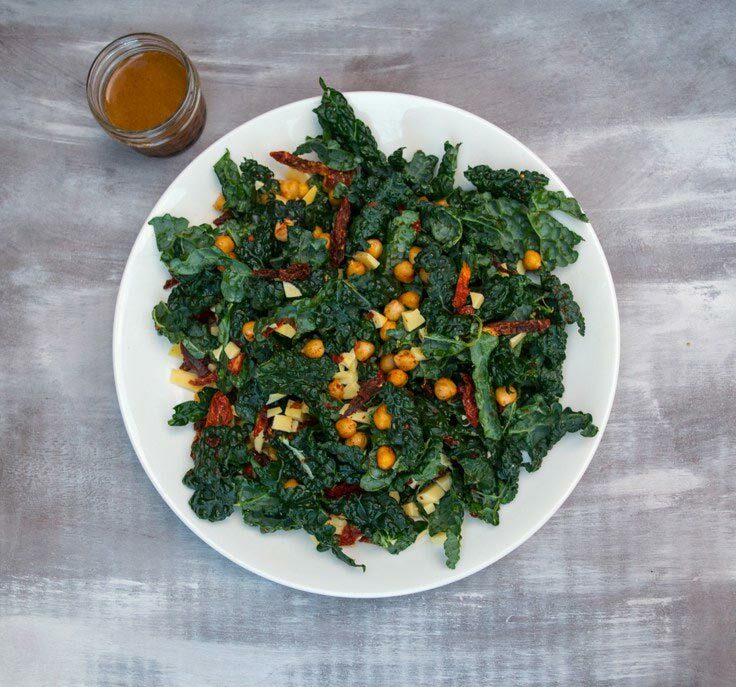 Yes, you read that right, Smoky Kale Salad! This salad is undeniably delicious and the smoky flavours are the perfect addition to your BBQ evenings! The smoked gouda cheese combined with smoked paprika and delicious warming smoky dressing is sure to be a crowd pleaser. Because kale is a wonderful green to let sit with dressing on it (it softens the leaves and removes the bitterness) make a massive batch of this salad and use as a side, or top with BBQ chicken, tofu or fish! For some reason summer is the perfect time for peanut dressings! This Red Lentil Quinoa Bowl is packed with so many different ingredients + flavour combinations that it will leave you wanting more! 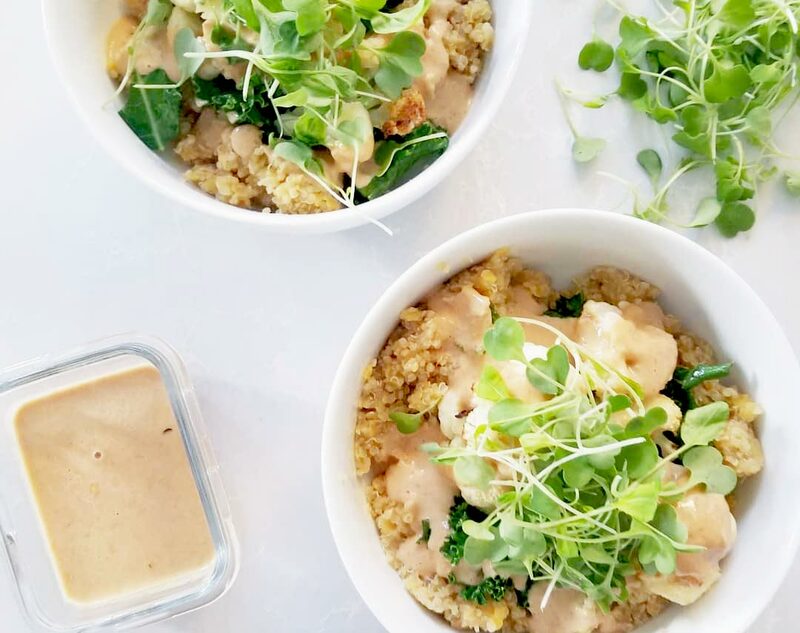 The quinoa soaks up the peanut dressing flavour, the cauliflower adds a liver loving punch, and it’s so protein packed with plant based ingredients that it will keep you feeling full for hours. Mediterranean dishes are dear to our heart and there’s nothing more refreshing to kick-start the warmer months than this Traditional Lebanese Salad. It’s got the tangy citrus flavours from lemon and sumac (known to have 60x more antioxidants than blueberries) balanced with the mild sweetness from the pomegranate molasses. 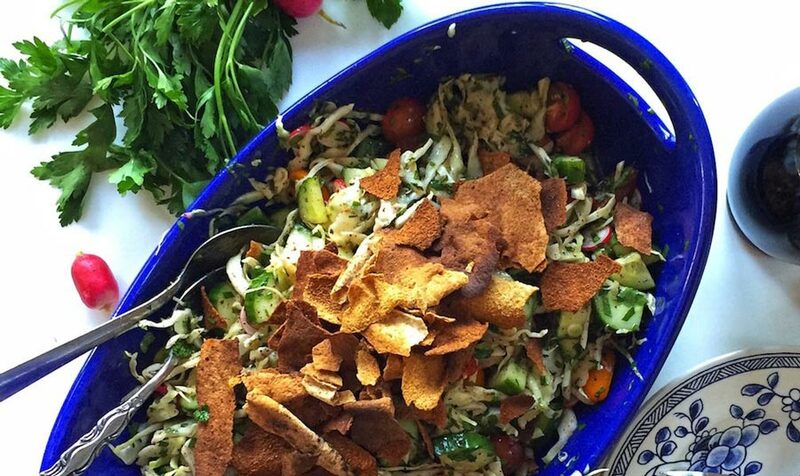 And, this salad is topped with toasted whole grain pita, yum! There you have it, 10 Exciting Spring Salad Recipes that will totally make you forget you’re eating healthy, salads that will get you into the salad groove. 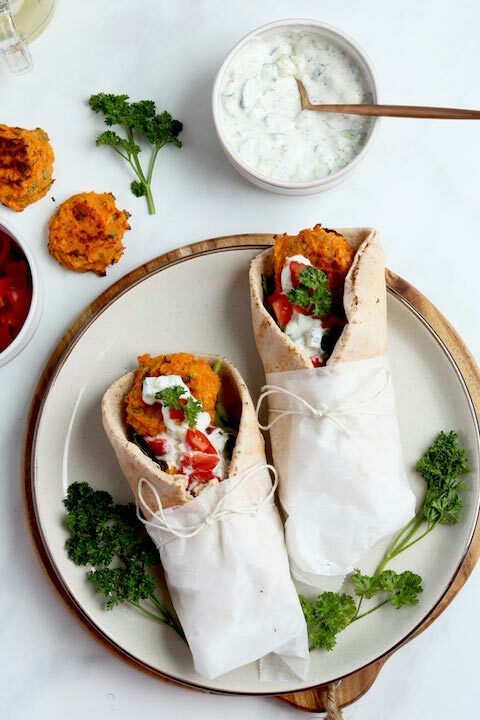 Simple, loaded with nutrients, antioxidants and flavours, these recipes are sure to keep you feeling amazing, from the inside out.